Black Maria continues its conquest of You Tube, with The Batfilm recording 961 hits, the Dan Dare Trailer up to 127, Killing Joke at 100 and Damon Dark & the Flying Saucer on 206. We also have 2 new 30 Line Theatres, "Tom Corbett and the Pyramids of Mars" and "Buck Wars", a 1935 reimagining of Lucasfilm. Our classic Australian TV shows are also getting hits with space opera "Phoenix Five" doing best and there are plenty of TV, fanfilm & indie links to other sites. WOW EXCITING ! ! ! ! ! ! ! ! ! ! ! ! ! ! ! ! ! ! ! ! ! Sing joy and felicitation to all !!! Now if that isn't big enough news, we have another announcement !! 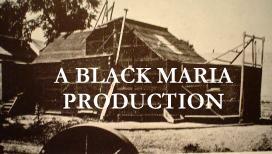 With the help of Ade Sherlock, and by the courtesy of Jack Knoll, our earlier Black Maria extravaganza's "I, Rocket" and "7th Victim" are now being screened regularly on J3P films, which is an online channel. If you have films of your own Jack may well be interested in hearing from you. "Damon Dark Vs The Flying Saucer"
A clone army of bikini clad Warrior Women from Outer Space invades the Earth. Only ace UFO hunter Damon Dark and his team can save us from the PERIL. Nothing in the world can stop us now !!!! The recording day at Darren's last Sunday went without a hitch ! We got through 15 pages of script in about 2.5 hours which is a pretty good rate. Thanks to Adrian, George, Sarah, Paul & Karen for lending your tonsils and also to Katherine & Darren who recorded a bit earlier on. Also thanks to Darren for his ace audio recording and general hostiness. I have already edited the recording track up to scene 5 and hope to complete the rest by Thursday, then I shall start animating to the timed recordings. I can't honestly give a completion timeframe but should have a clearer idea next month, hopefully we can cash in on the publicity of the latest Hollywood version. Animation of Scene 1 of the Batfilm is in the can. Darren will be doing a test edit of dialogue to the avi files to see if it's all working right and if so it's the big animation trip for me for the next few months. Wow Exciting !!!! with The Internet Archive, starting with "I, Rocket". YouTube will be the next target. The big Bat Recording Day is all set for Feb 3. Atomic Batteries to Power ! --- Turbines to Speed ! "I, Rocket" is now available from the net. The trailer is on YouTube, and the main feature from the IR download page. "I, Rocket" - to air in Melbourne ! Yes, it's mere days away from the Victorian TV screening of "I Rocket" on Channel 31's "Anthology of Interest", Wed 21st November - 10:30 pm. To get you in the mood, the 30 Line Theatre version of the sequel "I Rocket 2" will shortly be sent on to those of you who like that sort of thing. However, the real big news is that the script read-through day for "Legends of the Batman- Terror of the Monk" will be on Sunday 25th November, those of you involved already have the details. Following this I shall revise the current 2nd Draft and we will do rehersals/recordings on suitable dates as we zoom into 2008. Not only that but you can now download the trailer for 7th Victim in Cuba !!! Is that a triumph for the Workers State or what ? !!! "I, Rocket" - scheduled for Australian Broadcast TV premiere ! Ok, it's in Sydney but still a nifty thing to happen anyway. It's on "Anthology of Interest", the Steak & Kidney equivalent of the C31 Movie show but hopefully without wanky hosts, on 29th June 2007. "I, Rocket" will also be screened at "Convergence 2", along with Claire McKenna's independent SF feature "The Liminal". The screenings are to be at 8 pm Sunday 10th of June, please see the Convergence website at http://www.natcon.org.au/2007/ for further con information. Through a strange quirk of fate I won't be there but several of you should be so go along and cheer. Work continues on the Batfilm, I have completed a Batamatic and several sequences of test & action animation. I have cast most roles, but still in need of a voice for Bruce Wayne as a child and the Vampire girl Dala, if anyone can do a phony east European accent let me know. I will be doing some cast voicetests when I return from overseas and hope to get the soundtrack recorded in August. In other news, fanfilm ingenue Rebecca Pinskier has been working on a Star Wars project which has a lot of potential, I hope that those of you that could help her will do so and help her bring the dream to life. Also check out http://www.darrenmaxwell.net/ for the latest in moviemaking from 7V's own Stanton. Darren has finished the final edit of "I, Rocket" !